Swimming in New York is almost impossible if you’re from elsewhere. In Manhattan all clubs seem to be members-only, so for a single session I would end up paying the $150+ enrolment fee plus $25 for the entrance. I don’t like the idea of a 45+ minutes ride to a more public pool in Queens either. 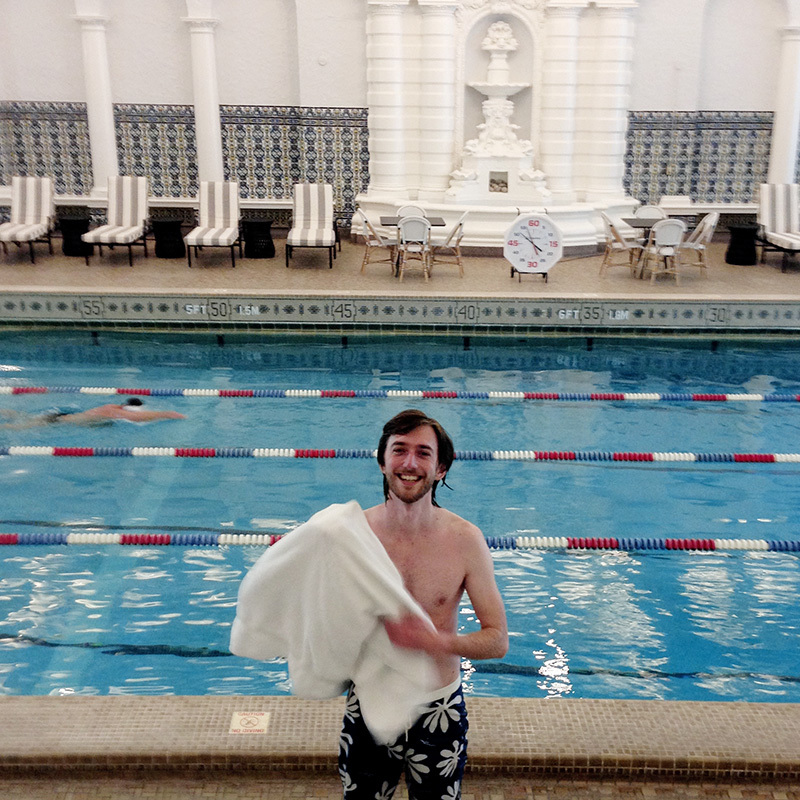 I take my new swimming habit quite seriously: starting this year, I went every single week. No matter how much work I needed to be done otherwise, no matter which city or country I was in, or no matter how tired I felt. Once I went directly from the airport after an overnight flight, getting my first sleep at noon that day. New York was the first to stop me, but I was heading out and the week wasn’t over yet. Chicago offered a brilliant alternative right off the bat: you can use Hotel Intercontinental’s gym even without being hotel guests. Built in the 1920s and finished just before the stock market crash, the building itself is part of the national heritage, and, it features a junior olympic size pool. Just perfect for a Home Alone style splash. I don’t think Intercontinental advertises this anywhere — on a weekday the pool was as deserted as a Kanye West concert should be –, but if you walk up to the hotel concierge and don’t look like an idiot, it’s quite likely that you’ll be let in. Entrance was $70 with tip, for the two of us, including sauna and gym. Can’t think of anything to better spend that money on.